Furnace Falls Farm Family Welcomes You! There is a century farm across the road from Wendy's Country Market that has been renovated and restored in anticipation of its next hundred years. The Furnace Falls Farm Family welcomes you to a country retreat located in the beautiful Rideau Lakes area. Guests are invited to stay and experience a relaxing farm retreat in one of the newly updated private rooms each fully equipped with private, luxurious en-suites. The stay is only part of the offering, with a talented culinary team available, guests have a chance to dine on first class farm fresh cuisine. If that isn't enough, in house Chefs will be joined by guest Chefs for Supper Club, Cooking Classes, food preparation & canning workshops, seasonal foraging, hands on gardening instruction, and so much more! 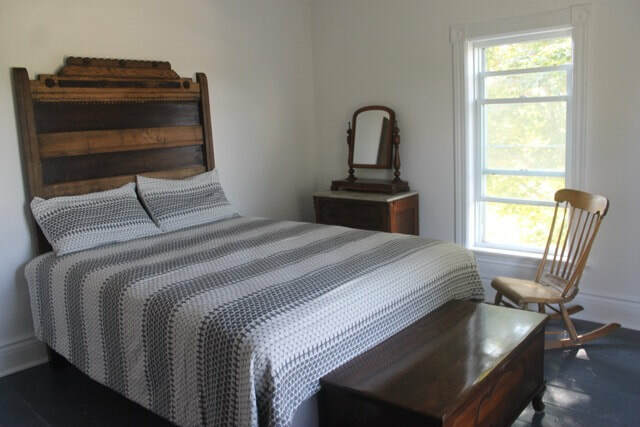 The Farm House has three unique bedrooms, a large eat-in kitchen for meals and workshops, and a fantastic new screened eating porch and a comfortable living room. Choose from the lovely Sunrise Suite or Sunset Suite on the upper floor or enjoy the welcoming Garden Suite conveniently located on the main floor. 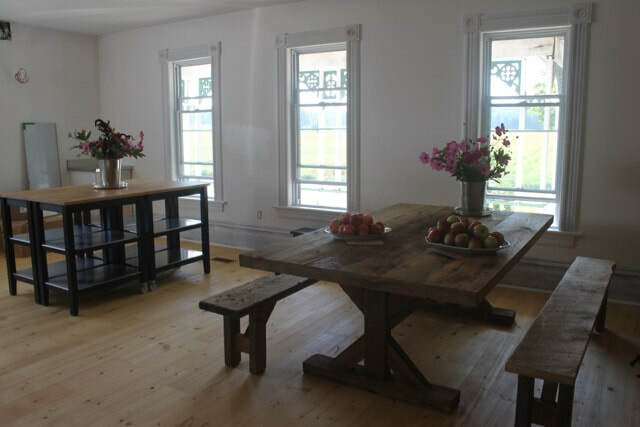 The Barn can accommodate a small birthday party of 20 to a large wedding reception of 200 in a revamped large open barn loft complete with pine bar and harvest tables for your use. We are looking forward to the upcoming 2019 wedding season. We welcome those wanting to view the property for future events. The Farm provides vegetables, herbs, and flowers for your events, and for processing and preserving in the Production Kitchen. The Farm House kitchen is the venue for Cooking Classes, Supper Club and Seasonal Workshops. Click here to check out all the interesting and fun things there are to do locally while staying at Furnace Falls Farm Retreat! !